Australia does a nice line in political snafu and last week provided a juicy example as the Australia Day prime ministerial dragging fiasco spiralled out of control. It show screwed Australian political discourse has become. It involves many major issues – inadequate security procedures, police incompetence, political misconduct, media manipulation, treatment of Aboriginal issues and subsequent substitution of white fights masquerading as concern for those Aboriginal issues. Not that Aboriginal leaders would be surprised their issues were criticised and ignored. The Aboriginal Tent embassy that started all the current fuss (and now being ignored in the “who knew what” adviser scandal) was created in 1972. I recently stumbled on the tent embassy when I was in Canberra. It was around 8.30am and I was on my way to visit the old parliament museum when I found the embassy at its doorstep. The museum didn’t open until 9am so I had time to wander around the site. It remains potent despite its shabbiness. Successive governments and administrators have found its mixture of politics, symbolism and theatre difficult to counter. The embassy’s flimsy tarpaulin is dotted with signs protesting the lack of a treaty and the need for self determination. 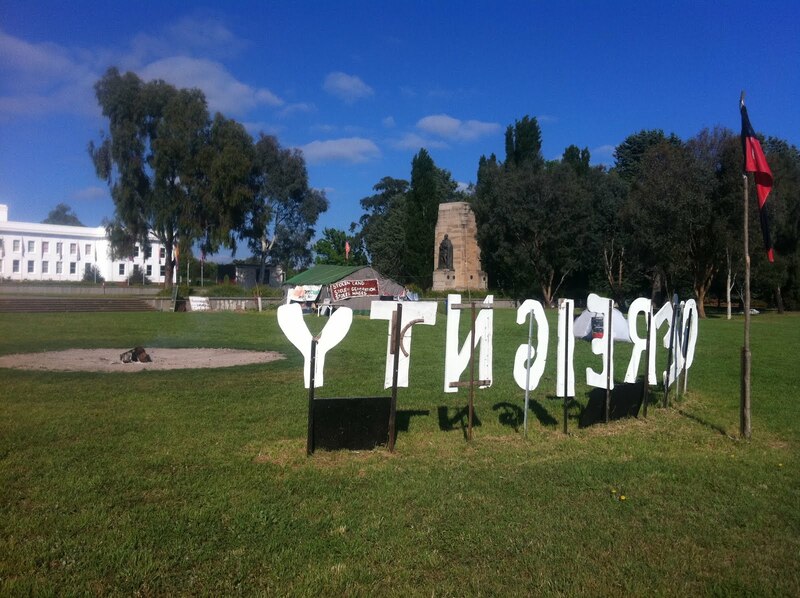 The camp proclaimed itself as a dry area and in the middle of the garden lay a giant fire circle with an Aboriginal flag and a sculpture of the word “sovereignty” looking out across the lake. This “sacred fire” of sovereignty gives the embassy an imposing air of permanence. The word “embassy” gives it a stateliness contested by the Australian Government. There was no cops about to shut down a long-standing “occupy movement”. Nor was there any movement there to disoccupy. There was no sign of life that morning though perhaps people were asleep inside the tents. The tent began in 1972 in frustration at the McMahon Government’s refusal to recognise land rights. Hopes were high for Aboriginal land rights after the 1967 referendum. But McMahon would only agree to general purpose leases” which would not affect existing land or mining titles. Most land titles were granted under common law “terra nullius” which assumed nobody owned the land before the British granted title. The mining titles took precedence because they were “in the national interest”. One of the embassy founders, Gary Foley, said McMahon’s laws made Aborigines “aliens in their own land”. As aliens they needed an embassy in Canberra. Its status as an “eyesore” has been central to its validity since the start. As John Newfong said in 1972: “If people think this is an eyesore, well it is the way it is on Government settlements.” Aboriginal policy was an eyesore that needed to stay in the public eye. Governments tried to remove the embassy by force, then by invoking territory ordinances and planning guidelines, or by direct negotiation and finally by turning a blind eye hoping the embassy would fizzle out. None worked. With another symbol invented the same year – the black, red and yellow flag – the black power activists’ tent reminded white Australia it was built on shaky foundations. The embassy only occasional impinged on wider conscience. Paul Kelly’s The March of Patriots covered the Keating and Howard eras in great detail but made no mention of the embassy, even though it became permanent after the elevation of Keating as PM. Aboriginal affairs was a telling difference between Keating and Howard and deeply affected their tenure as prime ministers. Yet both men were affronted by the notion there was “another Australia” outside their jurisdiction though neither was foolish enough to remove the “ambassadors”. It was not politicians but judges who changed the law. The Mabo and Wik judgements ended the fiction of terra nullius and helped forge an agreement over native title. Two hundred years could not be righted but compensation was needed. Keating offered an apology in his 1994 Redfern speech but was hamstrung by his own side (corrupt WA Labor Premier Brian Burke killed Bob Hawke’s land rights proposal in the 1980s). Keating was voted out in 1996, but not before getting a Mabo agreement through parliament. Howard inherited Keating’s Stolen Generation Report documenting 20th century interference in Aboriginal affairs. Howard could not bring himself to apologise. His NT intervention was large-scale paternalism under a pretense of preventing sexual violence. Despite the scale of the response (which the Rudd and Gillard Labor governments have kept), there was never a sense they were dealing with equal partners. The prospect of a treaty similar to Canada and New Zealand seems as remote as ever. The embassy celebrated two anniversaries last week. The embassy has existed intermittently since Australia Day 1972 and permanently since Australia Day 1992. The howls of protest that accompanied Tony Abbott’s claim the embassy’s time may be over, reflect a deeper concern that as Prime Minister he would not advance Aboriginal interests. He might also use his power to shut it down using the media-generated confected rage against the “riot” that apparently caused the prime minister to lose to trip over and lose a shoe. The Courier-Mail front page called it a “day of shame” without saying who should be ashamed. “Australia Day 2012 will be remembered for scenes of a terrified looking Ms Gillard being dragged away to safety,” the paper thundered. They hinted whose fault that was. They said police clashed with protesters from the embassy and the two leaders were shoved into Ms Gillard’s bulletproof car and taken to “a safe place”. Police overreacted as they escorted the politicians from the premises. Gillard and Abbott were at the Lobby restaurant presenting emergency services medals when “100 protesters surrounded the building”. No one asked the follow-up question: Did he mean moving the tent on? Instead the media circus moved on to Albanese’s Hollywood faux pas and the embassy answer hung out to dry. The implied answer, Abbott might act as PM to “move on” the embassy, took little time to filter out. Gillard’s media adviser Tony Hodges told union secretary Kim Sattler and Sattler told the demonstrators. When they got to the restaurant, Aboriginal people clashed with police but no evidence suggested violence was intended on Abbott or Gillard. It was the mob violence that wasn’t. All they wanted was for both leaders to talk to them. The prime minister’s security detail took a different view. On camera Gillard accepts their advice to leave and asks them whether they should also inform Abbott. She is seen letting Abbott know they were “in it together”. Instead of confronting the protesters, the prime minister was dragged unceremoniously away. The footage showed the politicians, their security detail and news cameras. The protesters were well back. World media were entranced particularly over the fairytale angle of the “lost shoe”. Abbott was also ushered away quickly without wardrobe malfunctions. Gillard lost not only her shoe, but her dignity, her press officer, her backroom probity and the political high ground. Abbott was able to say, “At the very least the Prime Minister should be offering an apology to everyone who was in that awards ceremony.” He did say what Gillard had to apologise for except perhaps for incompetent staff who did not think through their actions. Hodges paid the penalty and Abbott should stop playing put upon. He would have known fully what mischief his statement could cause on the Australia Day anniversary. The sovereignty battle over the embassy has been damned by association. Since the so-called “riot”, influential voices like Bob Carr, Warren Mundine and David Penberthy have called for the embassy’s abolition. But the time has not yet come to fold up the tent. The eyesore has not been treated. Sorry day has come and gone but the justice of sovereignty is no nearer for Australia’s oldest and most misunderstood inhabitants. Until it happens, they remain aliens in their own land. Gambling is a $19b industry in Australia. Policy reform focuses on the “pokies” of which there are 200,000 in Australia (half in NSW) and an estimated 600,000 people them at least once a week. Some 95,000 of these (almost one in six) are considered problem gamblers and they incur social costs of up to $4.7 billion a year. The 2010 Productivity Commission report into gambling noted the technology changes of recent years have made it easier to lose large amounts of money quickly on the pokies. They recommended a six year program to impose an upper cash feeding limit into the pokies of $20 (currently up to $10,000) and lower the individual bet limit to $1 (currently $10). They also suggested longer shutdown hours, warning messages of likely losses, relocating ATMs and most controversially, mandatory pre-commitment (MPC). MPC requires lock-out when limits are reached, cooling-off periods for limit increases, safeguards to prevent gamblers from machine hopping and an effective self-exclusion function. The Productivity Commission compares the notion of MPC to Ulysses binding himself to the mast of the ship to avoid the temptation of the call of the Sirens. Gambling has few market responses that enable individual pre-commitment to help people control their habit. Most gamblers rely on willpower but research has found continuous gambling leads to loss of control, particularly in an environment where alcohol is served. However the PC admitted the success of pre-commitment measures depended on their effectiveness, monetary and non-monetary cost (including erosions of autonomy) and addressing privacy concerns. In 2011 the Senate produced its first report on a design and implementation of an MPC system for pokies. MPC would apply to big venues (>15 machines) and only to the high intensity machines capable of gobbling up thousands of dollars at a sitting. The slow $1 machines would be outside its purview. The MPC system would be introduced in 2014, require players to set a maximum loss in advance, lock out when that amount is reached, cool off before increasing a limit, have safeguards to prevent “machine hopping” and have an effective self-exclusion function. While the report was well received by social groups, vested interests like Club Australia exploded in righteous indignation against “draconian reforms”. The powerful club industry, with 4,000 clubs and 10 million members, launched a multi-media scare campaign called “Won’t Work Will Hurt”. They said MPC meant every poker machine player must show identification and register to obtain a card before they could play. They said the Government had agreed to work with the industry prior to the election on pokie reforms, and supported the introduction of voluntary pre-commitment. They said it wouldn’t help problem gamblers who would obtain the card and set high or no limits. Recreational gamblers wouldn’t apply for the card and would stop playing causing revenue loss that would devastate the clubs and pubs. They also put the squeeze on 30 Labor MPs in marginal electorates where pokies are prevalent. The Government might have weathered this campaign but lacked bipartisan support. The Coalition’s policy paper on gambling tries to have it both ways. The report says less than one per cent of the Australian population are problem gamblers, around 220,000 people (the productivity commission says 115,000 are problem gamblers and another 280,000 are at “moderate risk”) while it notes 150,000 are employed in this “entertainment industry”. The Coalition also seeks to put a positive spin on the Productivity Commission report by saying problem rates are falling though the one problem percent account for 60 percent of all gambling in Australia. The Tony Abbott gambling policy involves a discussion paper proposing voluntary pre-commitment scheme, improved counselling services for problem gamblers and better training for gaming venue staff. It was condemned by Independent MP Andrew Wilkie who said the paper “contained lies peddled by poker machine interests.” He said voluntary pre-commitment was a “nonsense” solution which would have no cashflow impact on clubs. He also hinted he might water down his agreement with the Gillard Government. Wilkie’s agreement with Gillard gave Wilkie’s vote in parliament in return for $220 million for Royal Hobart Hospital and pokie reforms that included a full pre-commitment scheme by 2014, warning displays on machines and a $250 daily limit on pokie ATMs. A crucial date was 1 February 2012 by which the government had to advise Wilkie on the legal advice of getting the legislation through. In the last act of parliament in December 20111, Gillard installed Liberal MP Peter Slipper as Speaker effectively giving her a two vote buffer in the knife-edge parliament. I said at the time I didn’t think she would renegotiate the Wilkie agreement because I thought Gillard would still require his vote on occasion. I was wrong. 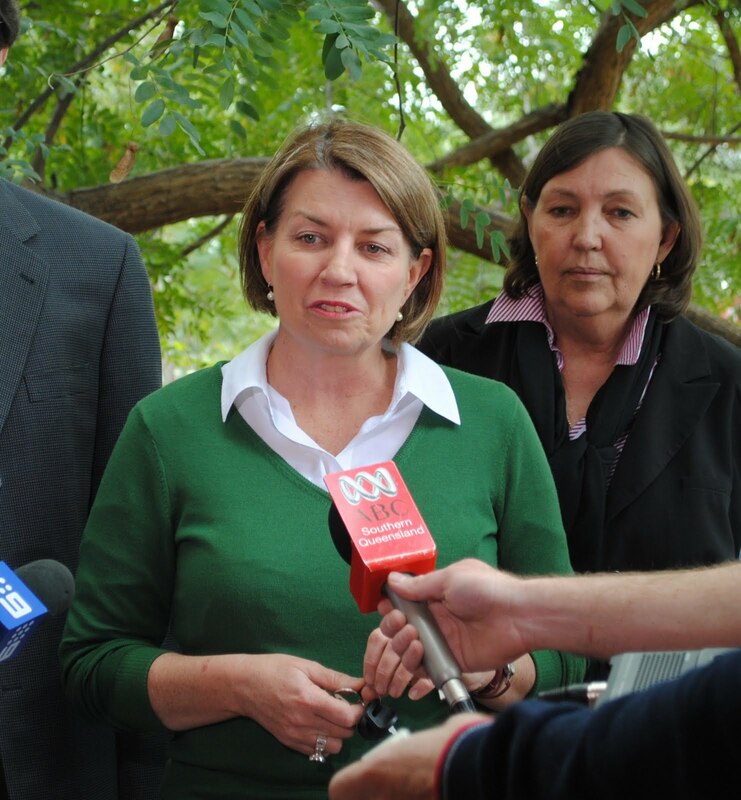 On Saturday, Gillard announced a winding back of the proposal. There would be a trial in Canberra and MPC technology would be introduced to every pokie. The Government claimed unconvincingly it was reneging on the deal because it would not get through parliament. Wilkie responded saying he had withdrawn support from the government. Wilkie said he could no longer guarantee supply and confidence for the Government because Gillard couldn’t honour the pre-commitment promise by end 2014. “I regard the Prime Minister to be in breach of the written agreement she signed, leaving me no option but to honour my word and end my current relationship with her Government,” Wilkie said. “Our democracy is simply too precious to trash with broken promises and backroom compromises. So I will walk, take my chances and so be it.” Whether it means he will now vote for Abbott – whom he has little respect for – is another matter. It is not just Andrew Wilkie who will be taking his chances. Unlike Sue Pinkerton and her pokies addiction, all bets are off in Australia parliament in 2012. Depending on who’s talking, an independent Scotland would see either the arrival of a new, modern and confident state or it will be fed into the Euro-blender to be destroyed forever. The idea of Scottish independence is not new – it dates back to the Act of Union in 1707. What is new is the proposed referendum in 2014 to give Scots a chance to vote on the matter. The governing Scottish National Party put the cat among the constitutional pigeons with their announcement on 10 January to hold a referendum in autumn 2014. The referendum will ask two questions. The first is whether there should be an extension of the powers and responsibilities of the Scottish Parliament, short of independence; while the second asks whether the Scottish Parliament should “also have its powers extended to enable independence to be achieved”. All the polls suggest voters will turn down the proposal. YouGov’s polling from 1990 to 2009 show support for full independence hovering around the high 20s to low 30s percentiles. A clearer majority – though never more than 60 percent – are happier with more tax raising powers for the existing Scottish parliament created in 1999. The referendum that created that parliament showed most Scots wanted power over their own taxes (currently they can vary the basic rate of personal income tax by a maximum of 3p in the pound). The issue was, as First Minister Alex Salmond said, in October 2010, “there is no point in being a pocket money parliament when the pocket money stops.”The 2011 study of Scottish attitudes showed 70 percent of the population saw themselves as Scottish first while 15 percent thought they were British. The study also showed support for increased devolution is increasing but there was ambiguous findings on specifics. Questions on who should pay for what and by what amount narrowed opinion in a way that was different than the ungranulated question of whether people are nationalist or unionist. Opinion is also divided as to whether Scotland would do better alone with its annual £6.5b North Sea oil wealth. Michael Moore, the secretary of state for Scotland, said the year on year variations of oil prices in 2011 were better managed in a UK-wide economy where Scotland could share in the risks as well as rewards. But Scottish finance secretary John Swinney disagreed saying Scotland contributed far more to the UK Exchequer than its share of population which underlined the strength of Scotland’s finances and the opportunities of independence. Opinion polls consistently support the latter view with most Scots thinking those south of Hadrian’s Wall do better from the Union than they do. Polls are less clear on economic benefits. Most people think they would pay more tax under an Edinburgh administration and there is no consensus on whether the nation would be better off financially. The debate reflects a strong and complex intertwining of English, Scottish and British traditions that make many Scots ambivalent about nationality. Unlike the Irish Act of Union a century later, the English-Scottish Act of Union of 1702 was a genuine marriage of near-equals. Scottish kings had sat on the throne of England for over a hundred years (until ousted by the Glorious Revolution). Scotland was still the minor party in the marriage, and as in the case of Ireland, bribery was needed to pass the Act in Edinburgh. Scotland was still reeling from the economic catastrophe of the Darien Scheme for a Scottish colony in Panama. But the Act of Union was good for Scotland; it gave free trade with England and led to the Scottish Enlightenment of the mid 1700s. Thinkers like David Hume and Adam Smith had an immense effect not only on Scotland but on the newly United Kingdom and beyond. Scots became a driving force in the new British Empire, despite continued rebellions of the highlanders. The lowlands were transformed by the Industrial Revolution with linen, coal and steel and a massive financial centre. Glasgow became a powerhouse city based on shipbuilding and railways. Scottish cities paid a terrible price in World War II with extensive bombing by the Luftwaffe. The deindustrialisation of the post-war years was balanced by the discovery of oil in the North Sea in 1970. Though production has fallen in recent years, a 2010 report said there was still 25 billion barrels of oil in Scottish waters, though they are in hard-to-reach areas near the Shetlands. The importance of oil in border negotiations cannot be underestimated. 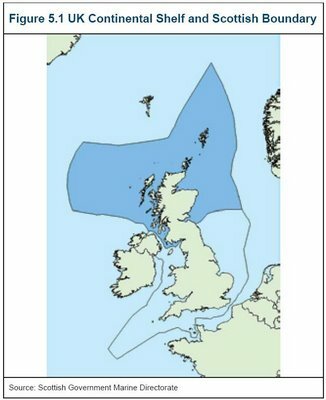 85% of British oil is in Scottish waters. The nationalist site Oil of Scotland claims Westminster moved Scotland’s marine boundaries in 1999 from Berwick-upon-Tweed to Carnoustie “illegally making 6000 miles of Scotland’s waters English.” The website called the Scottish Adjacent Waters Boundaries Order 1999 an “unjust act secretly passed, without the consent of the Scottish People” that took 15% of oil and gas revenues out of the Scottish sector of the North Sea and £2.2 billion out of the Scottish economy. “This lost revenue is more than the proposed £35 billion Scottish budget cuts for the next 15 years,” the group said. Mawson was a great Australian scientist and explorer. Gallipoli is where the newly-formed white commonwealth of Australia was supposedly forged. But Mawson’s earlier adventure did much also to put a young nation on the map – and expand Australian thinking about the map and its place on it. His 100th anniversary celebrations in the Antarctic were delayed a few days due to bad weather. Like most Australians of the time (the Irish excepted), Douglas Mawson considered himself an Englishman. Mawson was born in Shipley in 1882 of gritty Yorkshire stock. His family were cloth merchants who moved to Sydney while Douglas was a toddler. He was educated at Rooty Hill and at Fort Street Model School. He attended the University of Sydney at the turn of the century. While Australia federated and fought the Boer War, he studied mining engineering. After graduating he was appointed junior demonstrator in chemistry at the university. He did a six month geological survey of the New Hebrides (now Vanuatu) under the island’s deputy commissioner Captain E. G. Rason. Mawson’s The geology of the New Hebrides was one of the first major works of its kind on Melanesia. He was appointed lecturer in mineralogy and petrology in the University of Adelaide and became interested in South Australia’s glacial geology. Mawson came up with new classifications for the mineralised Precambrian rocks of the Barrier Range. In November 1907, Ernest Shackleton met him in Adelaide. Shackleton was leader of the British Antarctic Expedition heading south. He wanted to be first to the South Pole, something that did not interest Mawson particularly. Yet Mawson wanted to explore the glaciations of the southern continent. Shackleton was impressed and made him physicist. By March 1908 Mawson was on top of Mt Erebus volcano in the first group to climb Antarctica’s highest peak. While Shackleton and his team pressed onto the pole, Mawson and Edgeworth David travelled 2000km to be the first to reach the south magnetic pole. They survived the return trip despite lack of food, exhaustion and Mawson’s fall into a deep crevasse. Shackleton failed in the main expedition and they returned to Australia chastened, but with Mawson’s reputation enhanced. Back in Adelaide, he heard Scott was planning another assault on the pole. Mawson asked for a ride to explore the coast west of Cape Adare. Scott refused but invited him to go to the pole with him. Again, that did not interest Mawson so negotiations foundered. After Scott left in 1910, Mawson launched his own Australasian Antarctic Expedition. He set sail in December 1911 and made three crucial stops in the name of Australia. At Macquarie Island he established a base where they were the first to relay radio messages from the Antarctic. Then he established a Main Base at Commonwealth Bay and lastly a Western Base on the Shackleton Ice Shelf. All three sites were dedicated to science. The Commonwealth Bay base was ready by February 1912. Mawson went exploring in east Antarctica but two fellow explorers died on the harsh journey. Though Mawson was seriously debilitated, he cut his sledge in half, discarded everything except his geological specimens and records and dragged them 160km over 30 days to get back to base. He was forced to stay the winter and continued explorations to 1913. Back home in 1915, Mawson told his story in The Home of the Blizzard. It was a sensational read but the Great War kept Australia preoccupied and Mawson did not get the credit his extraordinary adventures, exploration, innovation and scientific work deserved. Mawson served in that war as embarkation officer for shipments of high explosives and poison gas from Britain to Russia. After the war he worked for the White Russians then returned to the University of Adelaide to spend 30 years researching South Australian Precambrian rocks of the Flinders Ranges. He collected so much data from his polar trip, it took him 30 years to complete his “Scientific Reports” in 22 volumes. He led two more southern journeys for the British, Australian and New Zealand Antarctic Research Expedition in 1929-30 and 1930-31, both sea-based only. His mapping was crucial to the Australian Antarctic Territory Acceptance Act of 1933 and the Australian Antarctic Territory three years later. Mawson retired to Melbourne in 1952 and died of a cerebral haemorrhage at his Brighton home on 14 October 1958, aged 78. By then Australia’s first permanent Antarctic base was established at Holme Bay in Mac Robertson Land. The base was Mawson’s idea and after World War II he convinced foreign minister Doc Evatt to set one up. The base was founded in 1954 and named for Mawson. It was a deserved honour for a man many see as the greatest polar explorer. 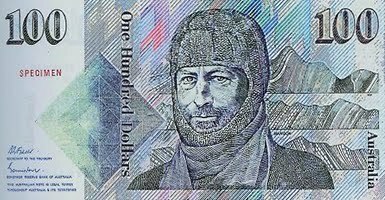 By 1984, Mawson’s reputation was secured with his place on the $100 Australian note. You could put your money on it: Mawson was a great Australian who always put science first. I was saddened to hear today the death of a man I met only once but have known about for a long time. Before I moved to Roma a couple of years ago, a friend from IBM days told me I simply had to meet his cousin. He was John Young who my friend told me was involved in the Roma airport and later the hospital and health system. By the time I got to Roma, his cousin had mostly retreated (retired is not the right word) to his property 50km south of Roma. I finally got to meet John Young at a meeting of the local Health Community Council. HCCs were a sort of half way health house set up by state Labor in 1991. For 20 years, HCCs operated geographically at just-above-local council level (there were 36 in Queensland) dealing with patients and their hospitals. They were the eyes and ears of the health system becoming aware of, and fixing local problems. They talked to the patients and they talked to the staff but relied on their soft power with authorities to get things done rather than legislation. Last year the Government disbanded HCCs in a major revamp of Queensland Health. From 1 July 2012 they will be replaced by 17 Local Health and Hospital Networks (with the unfriendly acronym of LHHNs). These new agencies will be responsible for bigger areas and will have more powers. The Roma HCC represented the views of the communities of the Maranoa and Balonne regional councils. They monitored the performance and quality of public health services in these regions. John was the chair of the Roma HCC and I met him at a public meeting at Wallumbilla Hospital in February 2011. Only one couple showed up from the general public, the rest were there from the general hospital but John showed no disappointment with the small turn-out. He diligently explained what their role was and what assistance he could provide. He carefully listened to the couple’s issues with the health system and gave them options on what they could do to improve their situation. He also talked logistics with the hospital staff. He made whoever he spoke to feel important and he gave tips and suggestions. Every problem was surmountable. At the end of the meeting, he and I shared a joke or two about our mutual friend/cousin before going our separate ways. I never saw him again. The HCCs were disbanded in June 2011. The LHHNs will have a strong local decision-making and accountability function. There is a 12-month gap while Queensland Health rolls them out with five already established including ones in Brisbane and the Gold Coast. The Government said this was a major reform with profound implications for the quality of health care in Queensland. The LHHNs will be statutory bodies with Governing Councils, accountable to the local community and Queensland Parliament. In August 2011, I editorialised the changes were good ones with more money, more beds, more doctors and nurses available at a local level to support an overburdened system. But I said finding the right local people to go on these volunteer boards would be tough. The board members will have the huge responsibility for managing the operation and performance of the hospitals within the network. While I didn’t mention him by name, I thought John Young would have been ideal for the local board. It will never happen now. I found out he had died of a heart attack in his paddock yesterday. I was shocked and immediately texted his cousin to offer my condolences. He rang back within minutes. I was worried he had not heard the news prior to my text but he had almost found out in real time. John’s wife had relayed the terrible news on the phone to the wider family in updates. John had a fall and it doesn’t look good, she reported. Then a few minutes later, “he’s gone”. He was just 59 years old. John’s death was a tragedy for the family but also bad news for the wider community. I don’t know if he nominated to be part of the local LHHN, but they need people like him. I don’t blame him if he didn’t nominate. The LHHNs are a far bigger ask than the HCCs, they cover a wider area and have greater powers. Members need skills in business, finance, legal and human resources expertise as well as the delivery of clinical services. All this in volunteer and most unpaid work. Reform is needed, but for these new LHHNs to work, we need people like John Young on them – people with knowledge, understanding and the ability to listen to and act on problems, in short, people with a vocation for health. Our wellbeing depends on it. With everyone expecting the good ship Labor to sink without trace in this year’s Queensland State election, the biggest unknown is the timing. Anna Bligh made history in the 2009 election as the first woman to win a poll outright at state level. But she won’t be Premier for much longer. Most polls are predicting a 10 percent swing against Labor which applied uniformly would mean the loss of 38 seats and remaining with just a rump of 13 seats in an 89-seat parliament. There may be a narrowing before polling date but not enough to change the outcome. The election defeat is less a matter of if than when. Anna Bligh can wait until 16 June before calling the election but she will not hold out to the bitter end, however tempting. As former premier Peter Beattie argued last week, that would allow LNP leader Campbell Newman claim time is up for the people to decide the future of Queensland. “The government would be seen to be running scared if there was a delayed election and a winning momentum would move solidly to Newman and the LNP,” Beattie argued. Beattie said Bligh needs to go before the third anniversary on 21 March. The problem is this year is also the end of the four year terms of Queensland councils. Electoral Commission Queensland manages both elections and wants a clear six-week gap so they can best manage their finite resources. Nearly everyone in local government and media is convinced council elections are happening on Saturday, 31 March but there is no formal statement by the ECQ (whose website says “March 2012”) or the State Government. In the Courier-Mail, Darrel Giles was convinced the council election would be on 31 March which would mean no state election between 18 February and 12 May. But Electoral Commissioner David Kerslake denies this 6-week window in the same article and I cannot imagine Bligh accepting such a demand. An election on the same day would be a logistical headache and might remind angry voters which party foisted the unpopular council amalgamations on them.But a four weeks’ gap is not beyond the ECQ’s ability to manage. Saturday, March 3 gives Labor time to nut out their election strategy and announce candidates in each electorate before a three or four week campaign. The Queensland ALP website is surprisingly silent on candidate details with only a list of sitting members and the “renew for 2012” option for membership. The party has yet to announce a candidate for Warrego, one of the safest LNP seats in Queensland (though won by Labor as recently as 1974). Labor will be investing all its resources into defending sitting members rather than encourage new talent to take on other seats. Antony Green’s analysis mapped the 2010 Federal Election result onto state seats and even with the caveat State Labor do better than Federal Labor in Queensland, the news is grim. Green expects Labor to be wiped out on the Gold Coast and in Cairns, lose two of three in Townsville, and also lose Cook, Mount Isa and Whitsunday. He said Labor would also lose many seats in western Brisbane, and key seats in the south-east corridor to the Gold Coast and north towards the Sunshine Coast. The prospect of a landslide has left Campbell Newman not having to sell policies to win. Newman’s biggest asset is he has not been in government 20 of the last 22 years. His LNP website rebadged as Can Do Queensland is bursting with news and information about fresh-faced candidates, many will soon become first-time parliamentarians. But policies such as “build a four pillar economy” are light on detail about what they would do in tourism, CSG, the environment and education. Newman can deal in generalities and be a small target while Labor faces the hostility of an electorate fed up with its longevity and a media that wants to see a change of government. Larvatus Prodeo’s Mark Bahnisch doesn’t want a change of government but even he concedes its likelihood in a series of perceptive posts exploring the election. I agree with his conclusions except when he says a Newman failure in Ashgrove would mean an implosion of the LNP statewide will follow. The LNP could win by a landslide and fail to take Ashgrove. Kate Jones knows the territory and quit cabinet to focus on retaining her seat. One Nation is putting up a candidate, making it unpredictable and may act as a “first past the post” contest. Kate Jones is popular – particularly among the young and the greens who are likely to give her a strong second preference. If only another 30 or 40 jaded looking Labor members had her enthusiasm, then defeat might not be a fait accompli. My first memory of David Bowie is when I was a young teenager at the house of two older cousins. They influenced my early musical tastes which featured artists as diverse as Mike Oldfield, Steve Hillage, Rory Gallagher and Rush. Among the collection was a strange looking LP with an unforgettable cover photo. There was a man and a woman naked from the chest up, the man with big bright red hair staring pensively straight into the camera while the woman, her head resting gently on his shoulder, seemed forlorn. 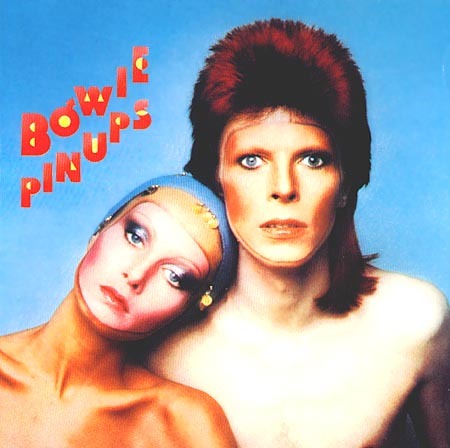 The album was called “Pinups” and the artist was “Bowie”. I didn’t know whether “Bowie” was him or her or both of them but wanted to know more. Her face was familiar but it was his voice that transfixed me from the first listen. Later my cousin told me he was David Bowie and she was the model Twiggy, whom I remembered seeing on television. Why was she on the cover, I asked? My cousin didn’t know. It would be many years before I found out why though I figured Bowie must have had a thing for “Twig the Wonderkid” who he name-checked in Drive In Saturday on the album Aladdin Sane. That album and Pinups were released within six months of each other in 1973 when I was nine years old. It was probably around 1978 when I first heard his music and saw his astonishing different coloured eyes. The following year I got my first summer job porting cases around Tramore’s Grand Hotel for ten quid a week. I stayed at my auntie’s in Tramore and for the first time in my life I had spending money. All that summer I spent my wages on David Bowie’s back collection. I immediately loved them all. Space Oddity (1969) featured the hit single of the same name. The tune was instantly familiar from radio but I never realised it was the same guy who did the album cover with Twiggy. There was The Man Who Sold the World (1971) full of raucous rocking anthems and the album Roy Carr and Charles Murray said in “Bowie: An Illustrated Record” (1981) where the Bowie story really began. The cover art of Bowie in a dress was too much for 1970s Catholic Ireland (as it was for Protestant Britain) and we all had to make do with the “leg up” photo from the Ziggy era. Hunky Dory (1971) was a personal favourite. While cycling in the countryside near Waterford I would sing loudly each song in the order they appeared on the album, with nearby cows bemused by my squealing out every moment of “Oh You Pretty Things“. Next up was Ziggy Stardust (1972). While this was the album – and the persona – that made Bowie a household name, it was never one I particularly loved. I thought the concept album idea boring and none of the songs haunted their way into my conscience as did his other albums. I liked the instruction on the cover “To be played at maximum volume” but I never risked the wrath of mum and dad by complying. The 1973 albums were my entry point to Bowie. I didn’t knew Pinups was an album of 1960s covers and even when I heard Ray Davies blast out “Where Have All the Good Times Gone?” my first reaction was the Kinks did a great cover of Bowie’s record. The other 1973 album Aladdin Sane, however, was pure Bowie and utterly haunting from the first listen. I was entranced by Bowie’s apocalyptic vision from the subtitle of the title song Aladdin Sane (1913-1938-197?) expecting World War III to break out any day. But it was Mike Garson’s piano in the final track Lady Grinning Soul that penetrated deepest with Bowie crooning “She will be your living end” grinning its way into my soul. It’s still my favourite Bowie song. Then it was Diamond Dogs from 1974, another overrated album by my lights. I was never a huge fan of the singles Rebel, Rebel or Diamond Dogs though I loved the epic sweep of the Sweet Thing trilogy. Young Americans from 1975 was more to my liking. His “plastic soul” sounded anything but plastic and the influence of John Lennon and Luther Vandross made this a very classy sounding album. Bowie’s voice adapted to any style. Station to Station (1976) was another departure and another Bowie character, the vampire-like Thin White Duke. Bowie was a heavy cocaine user during this period and it drives on the pulsating title track that opens the album. The first few minutes of that song are unforgettable as the train build up speed slowly with a droning guitar before the thin white duke’s voice brings this massive song home with an up tempo conclusion. Well, if it’s not the side-effects of the cocaine, I’m thinking that it must be love. It took me a while to love the 1977 albums Low and Heroes. Bowie was in Berlin and under the influence of ambient musician Brian Eno. Low was well named, the pain of Bowie’s splintered personal life brought out in songs like Breaking Glass and Always Crashing in the Same Car. The instrumental side two was difficult listening but rewarding. Heroes followed a similar trajectory with side one distilling in lyrics Bowie’s drug-crazed agonies while an instrumental side two explored the same concepts in music. Lodger (1979) came out as I was seriously getting into Bowie. It was more upbeat than the previous two and minus the instrumental frenzies but it was still a dark record. Boys Keep Swinging got Bowie back in the British charts but there was not much singles joy in this platter. The Lodger Bowie was not really at home in this music but his travels around world music did give him a better feel for disco he would exploit in the early 1980s. That decade started with Scary Monsters and Super Creeps which was the first Bowie album I bought as soon as it came out. I was a bit disappointed. The album was successful and the singles Ashes to Ashes and Fashion put him at the top of the charts. Yet I was expecting a bit more. It was another change of musical philosophy, but it just seemed to fall short. Maybe I was just being precious because everyone liked Bowie at the time. Listening again to It’s No Game (Part 1) recently, it is a classic track with Michi Hirota singing the song in Japanese and Bowie spitting out the translation in English as if, as Carr & Murray said, he was “tearing out his intestines”. My love affair with Bowie ended in 1983 with Let’s Dance. Sooner or later Bowie would release a disco record and this was it, and a great success. By 1983 I was a know-all 18 and getting into more obscure music. Listening to Wire, the Virgin Prunes and the young Matt Johnson (later The The), I was unimpressed by Bowie’s dance sounds. The title track was playing in every disco in the world that summer and I loathed it like I loathed Thriller which came out around the same time. I didn’t buy another Bowie record for 20 years. Around 2005, all his back collection of CDs was selling at $10 a pop in Brisbane record stores. In a fit of nostalgia I bought all the albums from 1970 to 1983 and fell in love with his early music again. I bought Heathen (2002) but because it had no 1970s or 1980s memories to weave on to, it never impinged on my conscience But Bowie’s voice, dexterity and mastery of various genres makes him a musical genius of the highest order. Happy 65th birthday, David.